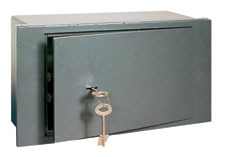 These wall & floor safes offer an affordable alternative to larger freestanding safes with the added protection of being hidden in the wall or floor. When properly installed in concrete. 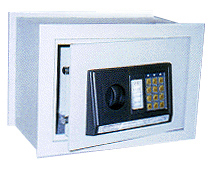 Our wall & floor safes provide excellent fire and burglary protection. Keep in mind that the ability of any protective device to deter theft is a function of time. Generally, pretty thieves lack the patience, tools or experience to break into a properly installed wall & floor safe. Even experienced burglars turn away from security devices which require special tools and many minutes of privacy, or which create a lot of noise when attacked forcibly. Consequently, installing your wall & floor safe in or on a concrete wall & floor offers the maximum degree of security.